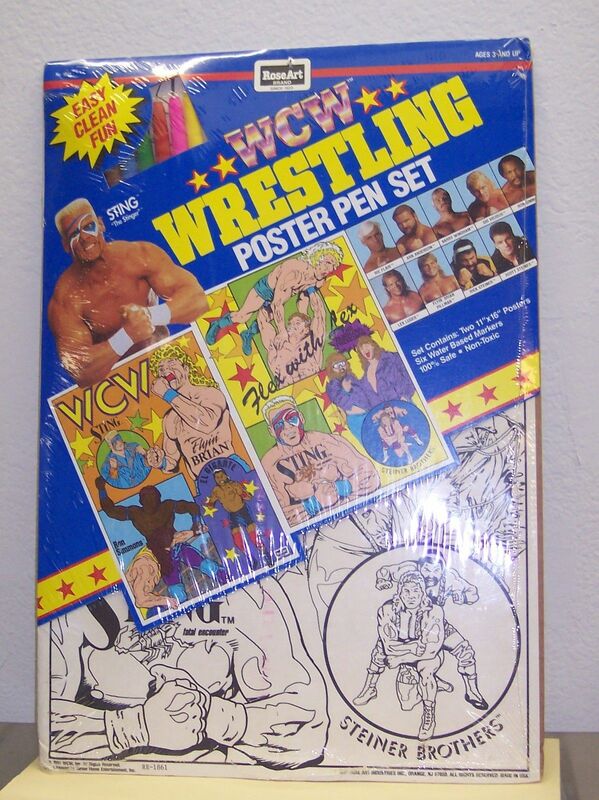 Someone Bought This: WCW Poster Pen set - WrestleCrap - The Very Worst of Pro Wrestling! 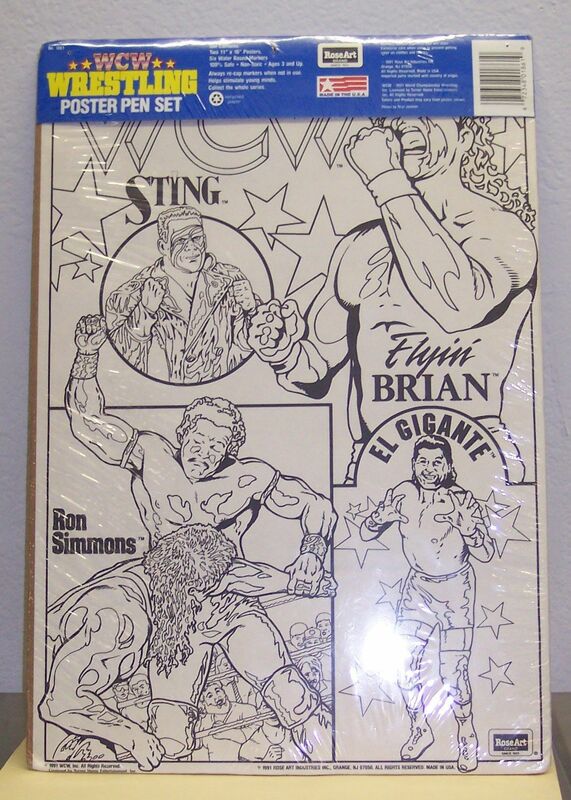 Bryan from The WCW Worldwide Blog found this WCW RoseArt Poster and Pen set on eBay! This seems like the pictures would turn out a lot better if you used colored pencils instead of the cheap markers they give you in the set. 3 Responses to "Someone Bought This: WCW Poster Pen set"
I’m surprised they were encouraging such artistic license from the kids. Punk rock Flair, and Flyin’ Brian in a tiger skin headdress. Do you think maybe just maybe they could have used a lighter shade on Ron Simmons so you could actually see him? And in the black & white picture it makes him look like he’s covered in someones’ DNA splotches. Poor Nature Boy has the hideous Gladiator haircut Jimmy Jam Herd forced on him. Goid thing BW is seperating Arn & Sid just in case someone whips out a pair of scirrors. 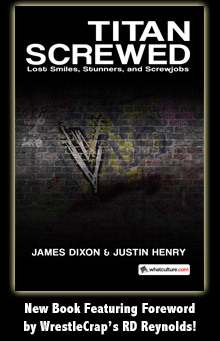 I remember I had the WWF version of this; at least the WWF wrestlers weren’t as horrifying as these guys.